Suite inside the Beverly Hills Hotel. Photo courtesy of Peter Vitale and The Beverly Hills Hotel. In an unprecedented display of style and glamor, five luxury hotels in Beverly Hills have come together to offer Suite 100 in celebration of the city’s centennial. 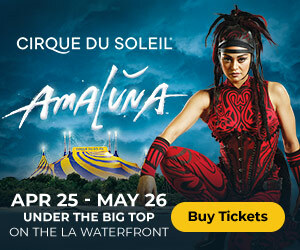 Find out why LA’s 100 year celebration is the cultural event of the century! It’s time to get your hotel reservations in order. Booking a suite between now and the end of the year at The Beverly Hills Hotel & Bungalows, Montage Beverly Hills, The Beverly Hilton, L’Ermitage Beverly Hills and The Peninsula Beverly Hills doesn’t just land you in the lap of luxury, it can transport you back to a moment in the city’s luxurious past. Each property enlisted top interior designers who, together with Suite 100 Project Director Susan Manrao, of Susan Manrao Design, recreated classic eras of Beverly Hills from Film Noir through the birth of Modern Luxury. Here are six ways you can experience it. 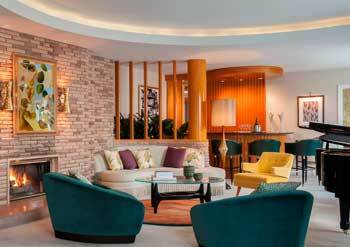 Indulge in champagne on demand at The Montage Beverly Hills. When you book the signature suite at the Montage Beverly Hills, not only will you be transported back to an era of femme fatales and smoky jazz clubs where you can detail the lore on an Underwood typewriter, you will also have complete control over the room’s “press for champagne” button. 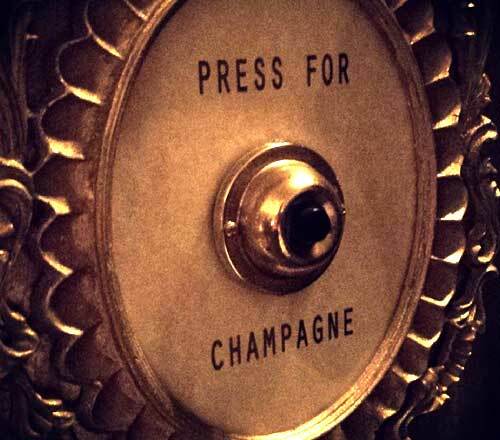 Using the button summons one of the hotel’s bellmen—bubbly in hand. $1,914 per night. Champagne Bath and Marilyn’s Menu at The Beverly Hills Hotel. Photo courtesy of Peter Vitale and The Beverly Hills Hotel. 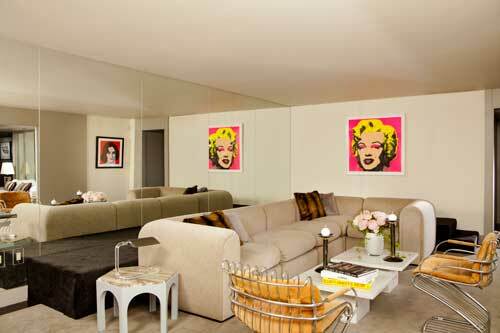 Marilyn Monroe was a regular visitor to the Beverly Hills Hotel, so it comes as no surprise that Tihany Design drew inspiration from the blonde bombshell for this suite. 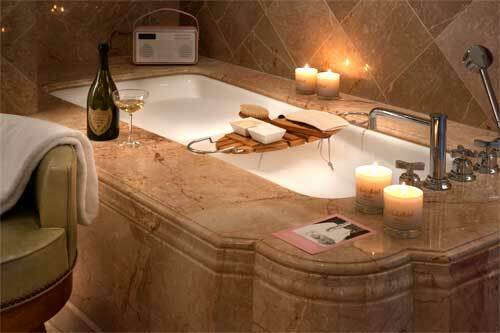 In addition to a display case that showcases original artifacts from Monroe’s estate and a library featuring Marilyn Monroe videos and books, guests can upgrade their experience with the Marilyn Monroe Champagne Bath ($600) that comes complete with a bath pillow, genuine wood backbrush, bath mitt, tub tray and a bottle of Dom Perignon, and the bath drawn with Ceara pure Atlantic sea salt from the coast of Brazil in addition to sweet orange and grapefruit oils. $3,795 per night. After booking the Suite 100 room in the Beverly Hills Hotel, for an additional $1,914 per night guests can up their experience with a selection of Marilyn Monroe themed gifts, a bottle of Chanel No. 5, roundtrip airport transfers in a vintage car, a bottle of Dom Perignon, Marilyn’s Menu for Two, featuring her favorite room-service dishes, two 90-minute Diamond Perfection body treatments in the hotel’s La Prairie Spa, breakfast for two and more. 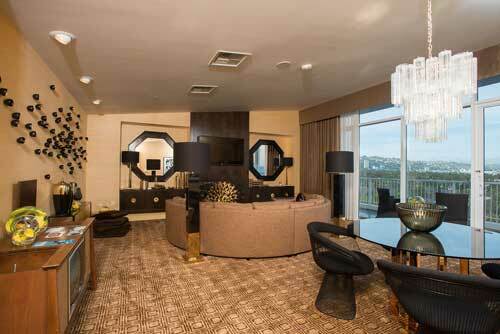 Enjoy the sophisticated yet rebellious attitude of the 1960 at the Beverly Hilton. Photo courtesy of Tomford Designs. Relish in all the sophisticated-yet-rebellious attitude of the 1960 at the Beverly Hilton. Tom Ford Design channeled icons of the era like Audrey Hepburn, Tippi Hedren and The Beatles and created a suite that weaves together bold colors and antique and modern furnishings like a working television from the 1960s on loan from the GRAMMY Museum. But the tastiest highlight of the experience has to be the throwback room service menu with selections and prices from the ’60s. Order that Monte Cristo for $2.50, a $1.15 gin martini or $1.50 scotch. $1,914 per night. Flaunt in the nexus of fashion and art in the 1970s at L’Ermitage Beverly Hills. Photo courtesy of John Ellis Photography. We got a taste of Halston designs when Amy Adams was outfitted in them last year in the box office smash, American Hustle. Now you can surrender to your dreams in a suite inspired by the designer and the nexus of fashion and art in the 1970s in this Ken Fulk designed suite at L’Ermitage Beverly Hills. In addition to select vintage-inspired Halston Heritage pieces (like the actual chocolate leather deep plunge dress Adams wore in the movie) and use of Ultrasuede throughout the expansive suite, snap some selfies in an iPad photo booth and powder room wallpapered with Interview Magazine covers. $1,914 per night. Star in your own VIP experience at The Peninsula Beverly Hills. Photo courtesy of Ryan Forbes. Star in your own VIP experience at The Peninsula Beverly Hills. To start, you can have Chef Concierge, James Little, personally curate your evening plans; or why not use the private phone numbers of Managing Director, Offer Nissenbaum and Executive Chef, David Codney to have them assist you with a private tour or a late night feast? It’s all possible when you book the suite for the night. Design firm Forchielli Glynn riffed on Hollywood glamour with their “The Birth of Modern Luxury” suite that also showcases walls clad in photographic murals of a red carpet Hollywood gala events. The entire package includes staying in the suite, a private pool cabana for the day, with lunch for two; a Scrub & Spray Tan treatment for two at The Peninsula Spa; transportation within Beverly Hills and Century City in a luxury vehicle and more. You can also upgrade for an additional $1,914 and strike a pose on the hotel’s red carpet during your Hollywood-style photo shoot. $7000 per night. The face of Los Angeles may be Hollywood and a fantastic nightlife scene, but the fact remains that the city also boasts some of the best museums in the world. For a brief guide to the museum scene in LA, first keep in mind that the city definitely thinks outside of the box when it comes to museum culture. If you hate history museums, how about one on the history of torture, complete with how-to manuals? For the car lover, there’s the Petersen Automotive Museum, where you not only explore antique cars and steam engines but can meet some of the most famous Hollywood roadsters in person. The Hollywood Museum features items from the big screen’s most famous, including Judy Garland’s dress from A Star is Born.